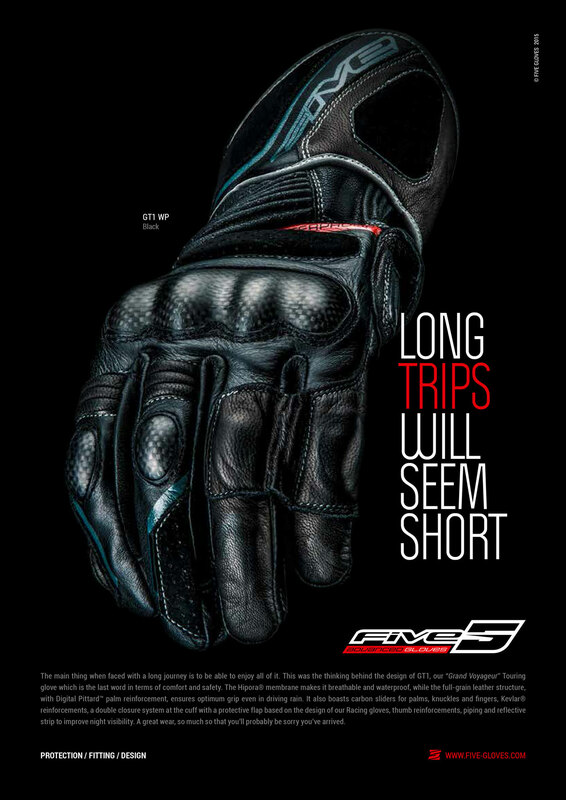 The FIVE range has expanded to many new models for 2015. 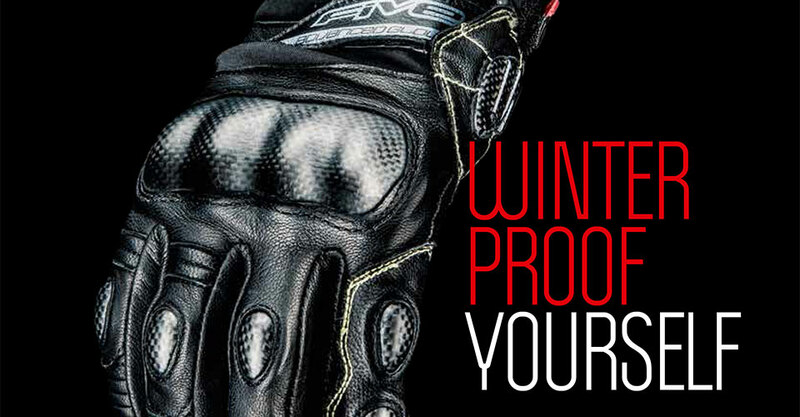 The winter gloves WFX1 and WFX Max, new touring glove GT1, the new high end motocross glove MXF Prorider, a complete new Custom range including Texas model. 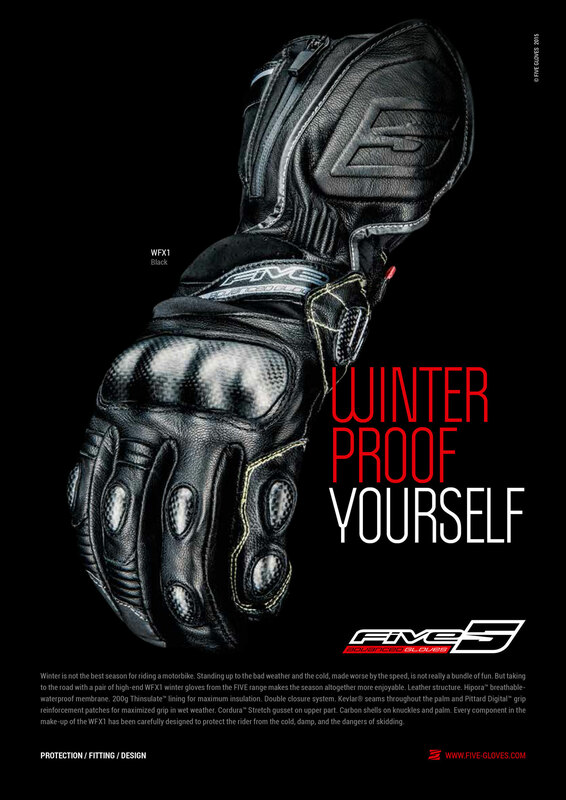 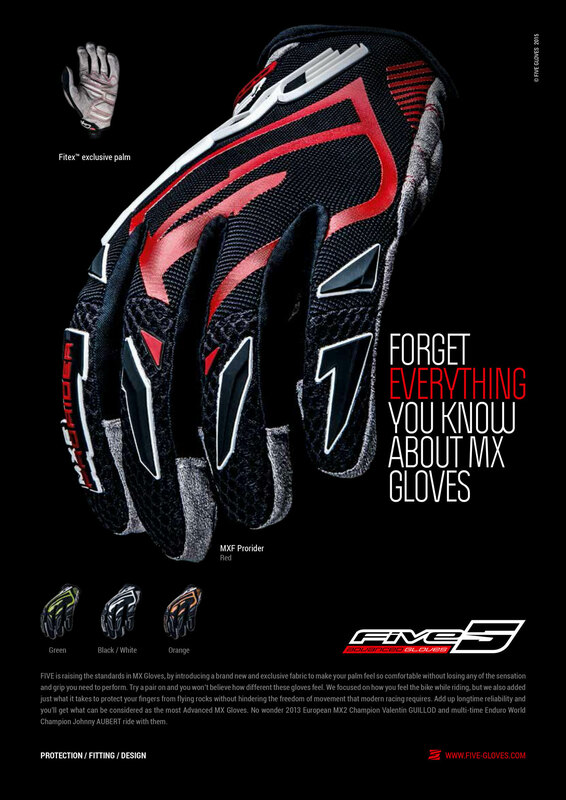 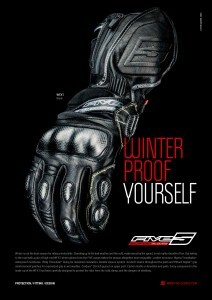 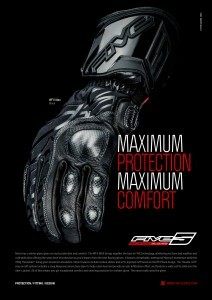 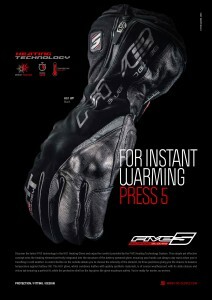 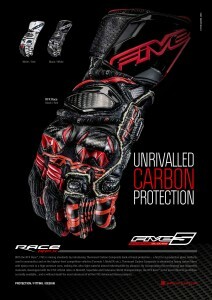 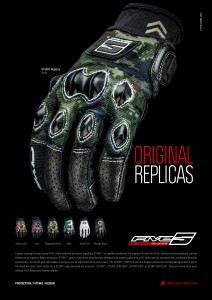 All are highlighted in the new FIVE campaign, along with some key models, such as the STUNT, the RFX Race or the HG1 gloves. 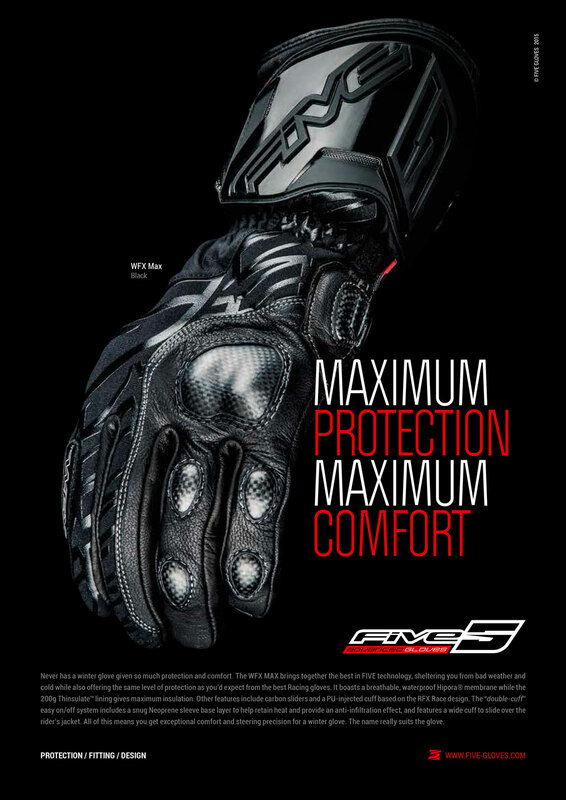 Check out these ads right here, in preview: A simple layout that gives pride to the product. The photos are signed by photographer Flavien Duhamel, known for his exceptional motorsports and extreme sports shots for a famous energy drink brand. 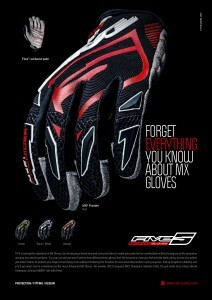 Flavien proves that he is as talented in the studio as shooting outdoors. 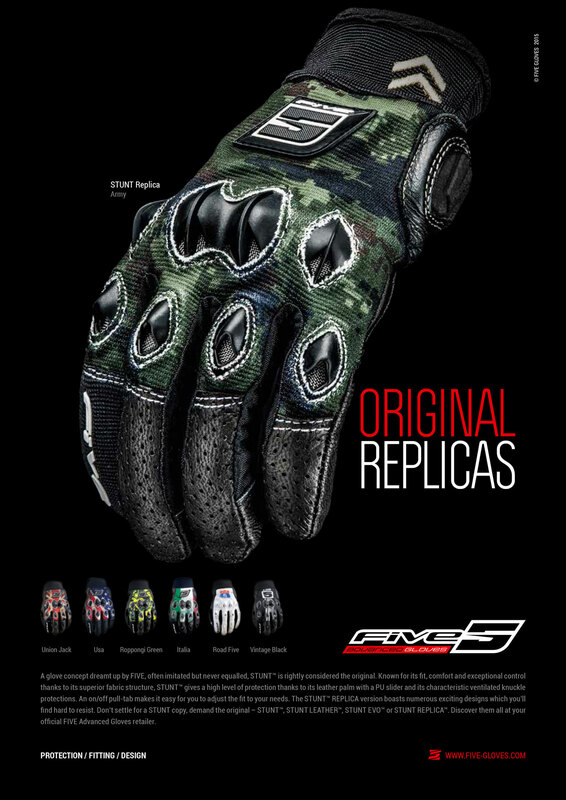 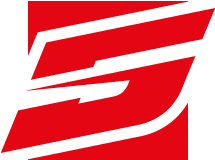 (He shot the FIVE RFX Race action photos you can see on this website) His studio creations convey all the richness of FIVE gloves in every detail. 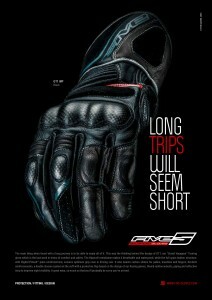 The campaign will appear in motorcycle magazines and will be made available as in-store POS devices worldwide.